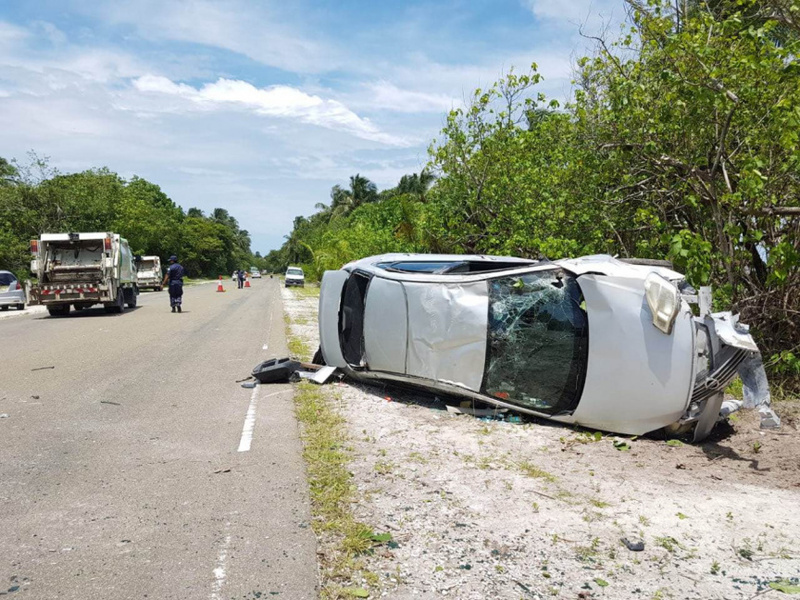 A car going at high speed on the Addu City Link Road lost control and overturned, resulting in extensive damages to the vehicle. The accident took place at noon this Thursday to the East of the garbage disposal site located in the Gaukendi area. Maldives Police Service’s media official reported the two people in the car suffered varying degrees of injuries. And that the car suffered extensive damage. An eye witness reported to ‘Sun’ that the front of the car suffered extensive damage and the windshield was completely shattered in the crash. He said the driver and the passenger didn’t suffer any serious injuries.